Iceland’s midnight sun music festival is returning in 2018! 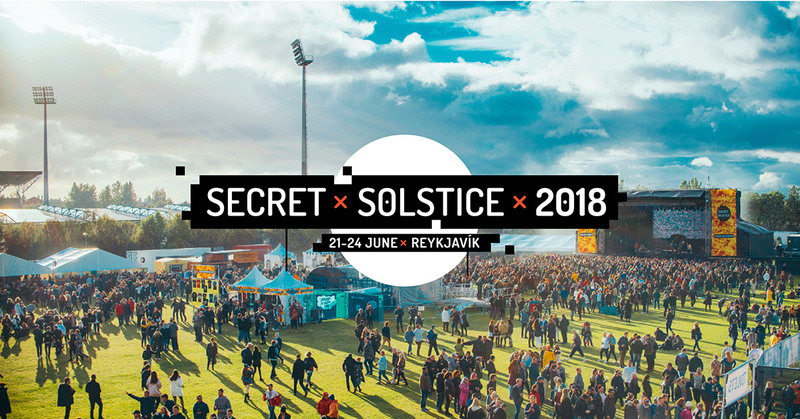 Register now for the Secret Solstice Festival 2018 presale and a chance to purchase a Super-Early Bird Standard Festival Pass for only 100 EUR (11.800 ISK), half the price of a final general release ticket. Presale registration is open until August 10th and if you follow our Spotify playlist or refer your friends to sign up, you increase your chance of getting your hands on a cheaper ticket. Super-Early Bird Tickets are limited so take advantage of our offer today. By earning points you also increase your chances of winning the grand prize of 5 x VIP upgrades including drinks and goodie bags and 5x runner up prizes of 2 x free tickets each.